Films and TV Shows to Look Forward to In June 2018. When Jurassic World was released in 2015, it garnered mixed reviews but most importantly for Universal Studios, it made a lot of money at the box office. It became the fifth highest grossing film of all time and solidified the promise of a sequel. Chris Pratt and Bryce Dallas Howard return to Isla Nublar to rescue the dinosaurs from the island after an active volcano erupts. However the people that send them back to the island may have other motive then just saving the dinosaurs. The trailers shows that this will be another fun filled adventure that hopefully Bryce Dallas Howard wears more comfortable shoes. This will make a load of money and whether it’ll be good or not, it is always a treat to see dinosaurs back on the big screen and of course a small cameo from Jeff Goldblum. 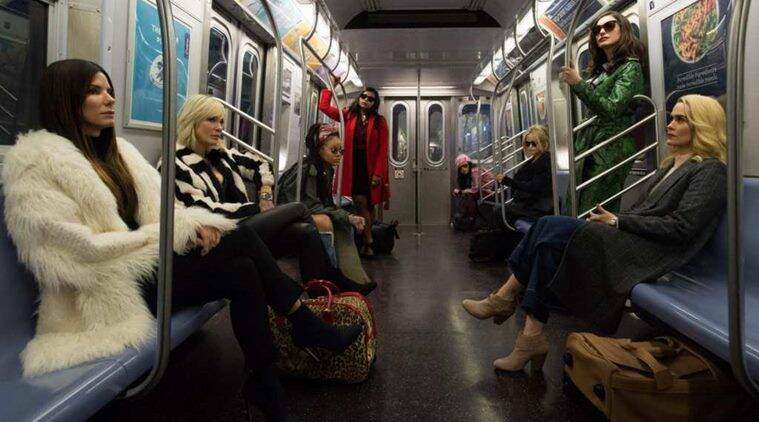 Everyone loves a heist film, now imagine Ocean’s 11 but minus 3 and with an amazing star studded female cast, sounds brilliant. It really is a dream team cast of women; Sarah Paulson, Sandra Bullock, Mindy Kaling, Rihanna, Helena Bonham Carter, Anne Hathaway, Cate Blanchett and Awkwafina. This has the promise of being a fun film that could potentially lead to a franchise with the attached star power. This will probably receive some backlash because of its female inclusivity but the numbers of people that will see this film will overcome that. Sandra Bullock plays Danny Ocean’s sister that is inspired by him to pull of a big heist at the Met Gala. She gathers up a gang of women to help her pull it off. With the huge star power and talent involved, alongside a huge list of cameo’s this could be a big hit and a fun heist film. Luke Cage returns to Netflix, the first season was hugely successful amongst fans and critics. After the Defenders have had their solo series and ensemble series, Luke Cage returns to the streets of Brooklyn to fight a new nemesis by the name of Bushmaster. The new season promises to be more badass and action packed. This season also has Finn Jones reprise his role as Danny Rand/ Iron Fist, being the heroes of hire alongside Luke Cage. 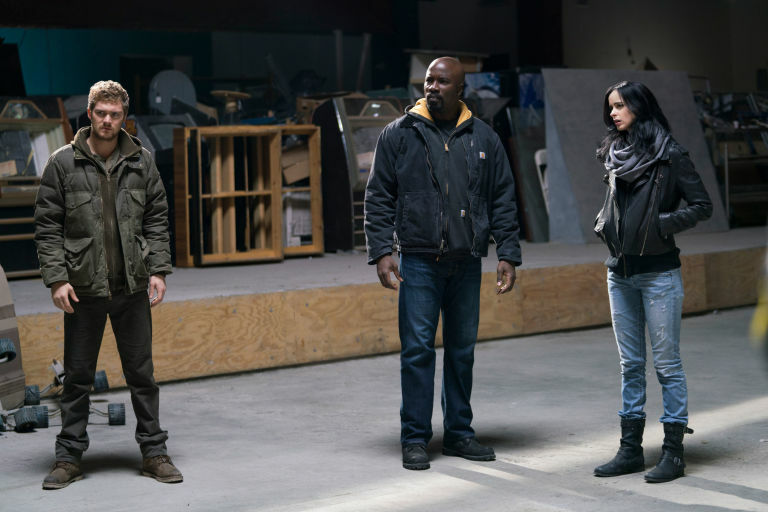 The Marvel Netflix series have been surprises and been mostly well received so any new series by Marvel should be on your to watch list this June. The Gorgeous Ladies of Wrestling are back at the end of the month. The first season was a huge hit for Netflix and the second season promises to have more 80’s hair, colourful costumes and female wrestling. The eclectic cast of Alison Brie, Betty Gilpin and Marc Maron returns to continue the story of the weird and wonderful world of GLOW. The first season was surprisingly great and hilarious, I was apprehensive because as a massive fan of wrestling I thought it would mocked the art however it was very respectful and became one of the best representation of wrestling on TV. I cannot wait for the return of the shiny, colourful, wacky world of GLOW and I anticipate the season to be a huge hit for old and new fans. Coming at the tail end of June, Sicario: Day Of The Soldado will be released, the sequel to the fantastic Sicario, released in 2015. Director, Denis Villeneuve and Emily Blunt are not returning but the brilliant Benicio Del Toro is returning with a new addition of Josh Brolin. Sicario was a fantastically dark crime thriller about an FBI agent that attempts to take down the leader of a powerful Mexican Drug Cartel. It was bleak, action packed and visually magnificent. The sequel promises to try and replicate the originals success. Sicario: Day Of The Soldado is about a CIA plan to incite war between the drug cartels, however this goes wrong as the Mexican government finds out about the plan. 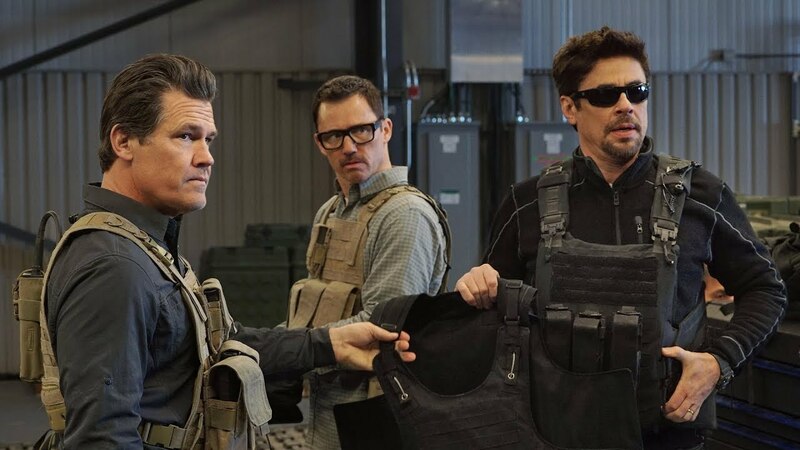 The intriguing plot, the trailer looking fantastic and Josh Brolin and Del Toro’s inclusion, Sicario: Day Of The Soldado could be another great crime thriller.